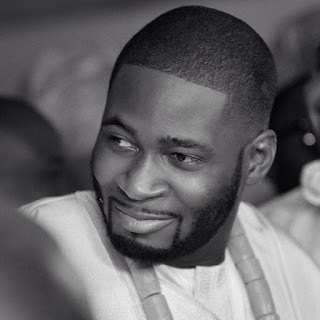 After posting suicidal messages on his Instagram this morning (Thursday, April 28, 2016) it has been revealed that Tiwa Savage's husband Tee Billz did try to commit suicide. According to blogger Linda Ikeji, Tee Billz attempted to take his own life by jumping off the Lekki-Ikoyi bridge today. An eye-witness Chukwuma Ani who spoke to Ikeji said the incident happened around past 9a.m in the morning. Not knowing who the guy was or understanding why he was talking suicide, Mr Ani said he kept insisting that the driver must come down from his car and see the damage he had caused to his car. He said he noticed alcohol on the floor of the driver's car so thought the man was drunk. He said while shouting and berating the driver for hitting his car, the guy just suddenly drove his car with speed to the front. "Ani said he got into his own car and gave chase and was surprised to see the driver of the car parking his car in the middle of the bridge as other cars drove past. He said he parked in front of the driver and approached the man again, telling him that he couldn't even apologize for hitting his car and was instead trying to drive off. He said as he was berating the man, he (Teebillz) got down from his car and walked to the bridge railing. He said he stood there wondering what the driver was trying to do and it was at that point that two other cars approached them. He said as he was trying to figure out who the new comers were, Teebillz had moved to the bridge railing and was trying to jump. Mr. Ani said a light skinned guy came out from the first car and began running towards Teebillz screaming and that was when he realized what was going on.."
Tee Billz is presently surrounded by his family and friends.